Enhance the look of your truck and taking advantage of our new special from Rolling Big Power! Their top-tier custom wheels will bring the right combination of style, strength, and performance to your truck and add a stylish off-road flare to it. Unlimited customization options and a great variety of sizes and styles will help you to find the best fitting set for your truck. Tough RBP wheels ensure the strength and durability that you can rely on. Do not miss your chance to participate in this promo, buy a set of 4 RBP wheels at CARiD and get a FREE Leveling Kit. This is a limited time offer, valid until the end of this month! Hurry up! 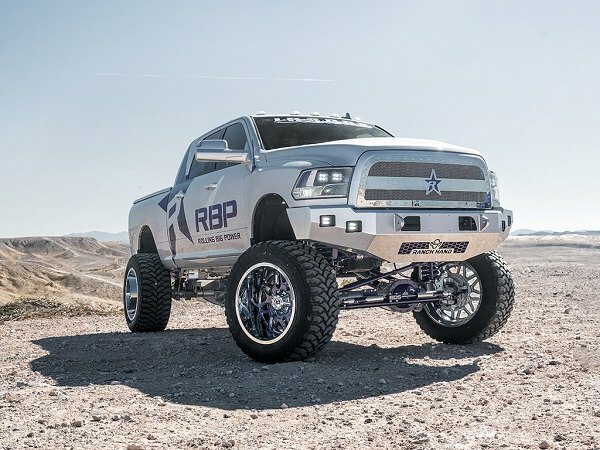 Take your truck to the next level with stunning RBP wheels! Purchase Draw-Tite Products and get 10% OFF at CARiD! Purchase Westin HDX Bumper and get FREE Gifts at CARiD! Upgrade your wheels with a set from Black Rhino and save 45% OFF!